iBall knocked the ball out of the court with this budget smartphone for sure. It might have been overpriced when launched but now that the prices have come down, it is a steal. The iBall Andi 5F is quite minimal and good looking. It flaunts a 5-inch screen with a PPI of 220 pixels per inch. The phone packs 8GB of internal storage expandable up to 32GB via a MicroSD card. Coming to the two best features of the phone- the camera and the battery. The phone carries a 8MP rear and a 3.2 MP front camera that click decent pictures. Powered by a 4000mAh battery the phone can easily last for a day and a half. For this dual SIM phone, the specifications speak for itself. At this price the battery life and internal memory are to die for. So if you are looking for a low budget smartphone you know where to go. 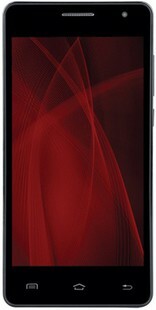 The iBall Andi 5F Infinito is priced at INR 4499. IBall Andi 5F Infinito full specs and reviews as of Apr 2019. Buy it here!